Hard to find Custom Brick home w/Master & Guest Suite on Main Level. Dream kitchen boasts granite counter tops, large center island & designer cabinets. Open floor plan overlooks Breakfast, Kitchen & Great Room w/ fireplace. Walk out onto your beautifully designed patio & relax. Stunning designer touches including hardwood stairs leading up to 2 over sized bedrooms & spacious bonus room. 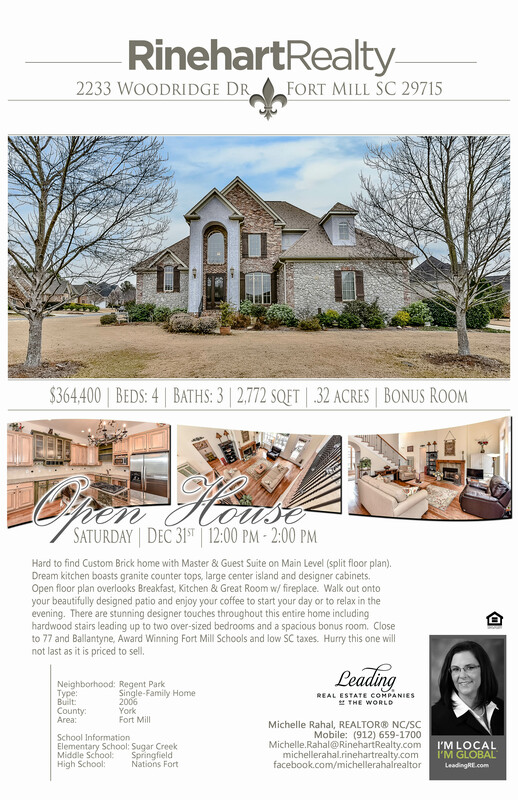 Close to I-77 & Ballantyne, Award Winning Fort Mill Schools & low SC taxes. Hurry won’t last!